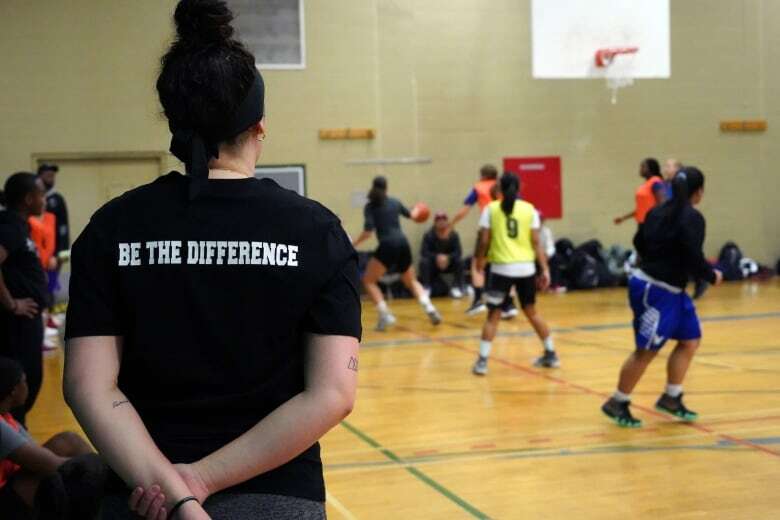 Olivia Brown and her friends, all basketball players themselves, created Uptown Montreal Basketball after the inner-city girls’ basketball team they coached shut down last summer with little notice. 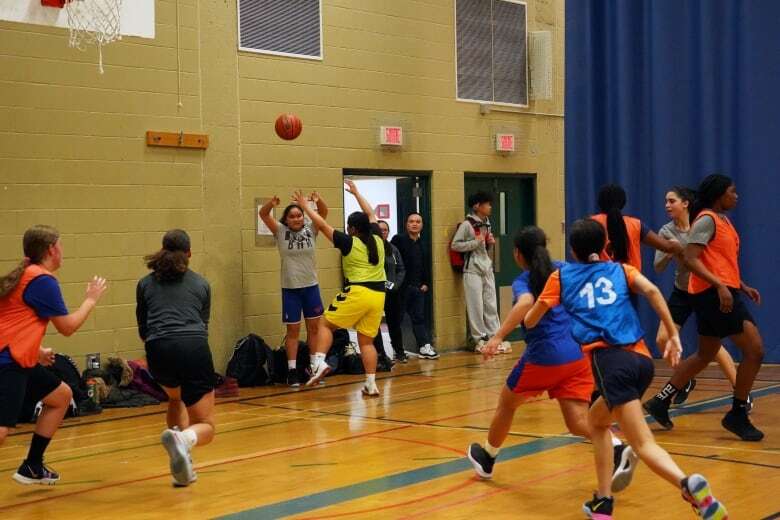 Last fall, during tryouts for the Uptown Montreal Basketball teams, you could hear a pin drop in the gym, president and coach Olivia Brown says. It was a new program for girls, and she and the other coaches hadn't had time to advertise yet. Ten girls showed up — five for the bantam team, and five for midget. In order to register for the league they play in, you need a minimum of eight players per team. Compare that to the tryouts for their summer teams, held in a sweltering hot gym in Parc-Extension last Saturday — almost 40 girls showed up. "That's just more than I ever could ask for," Brown said. Brown and her friends created UMB after the inner-city girls' basketball team they coached shut down last summer with little notice. "I couldn't let the girls stop playing basketball. You know, we built amazing relationships with the girls … I had to find some way for them to play." The girls, who are all high schoolers, come from all over the city. Besides school teams, there are very few options for them to play competitive basketball in the city, Brown explained. And some schools don't have girls' basketball programs at all. Each UMB team has at least one female coach — women Brown played with or against during her own basketball career, and who are now her friends. Brown and her fellow coaches used their connections to spread the word. Despite the tough start to last season, both teams were able to gain some momentum and made it all the way to the semifinals in the Basketball Québec league. The coaches wear shirts with the program's slogan on it: be the difference. Supporting girls in sports is even built into the mission statement they created and posted to their website. "Empowering girls, females fuelling female athletes, is what brought us together. And so that's what we wanted to spread." If a girl hasn't participated in sport by the age of 10, there is only a 10 per cent chance that she will be physically active as an adult. 41 per cent of girls age three to 17 do not participate in sport. 84 per cent of adult women do not participate in sport. Rachelle Velante, a 14-year-old shooting guard on the midget team, was introduced to the sport by her uncle. She said she wants to be a role model for others. "We want to inspire other girls to play basketball too because people say basketball is only for [boys because] boys are better than girls, but we want to inspire other girls." 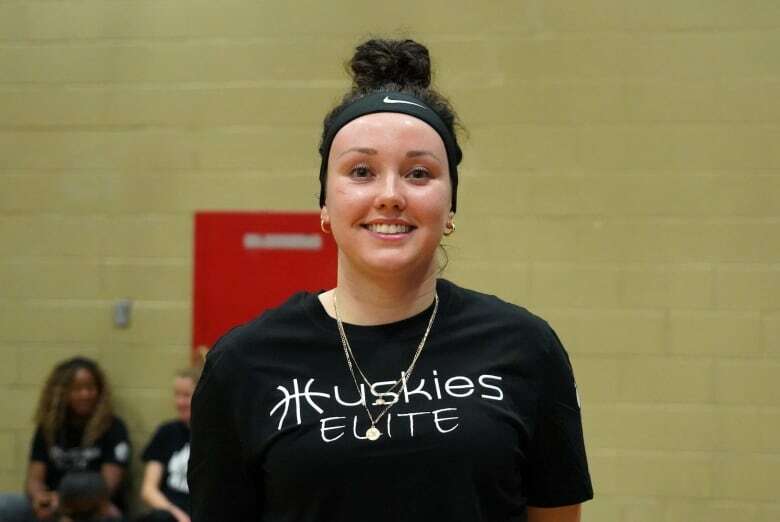 Forward Sydney Grossman, 15, started playing basketball three or four years ago, when a gym teacher asked her to play in a tournament because they didn't have enough players. She's been playing ever since. Both girls said at every level — from their league, to college basketball, to the professional leagues — the focus is more on boys and men. "For us who do play sports, it's very important to us to show to the boys that we can be better and we can be at the same level as them, and that it's not all boys. Girls are capable of doing so much more than what everybody else thinks," Grossman said. She said she would only have her school team to play for if it wasn't for UMB. "In school, I'm in the same type of environment all the time. When I come play here, I'm in a different environment with different people and I make new friends." Grossman, who was team captain last season, said she's learning leadership skills playing the sport — skills she values. 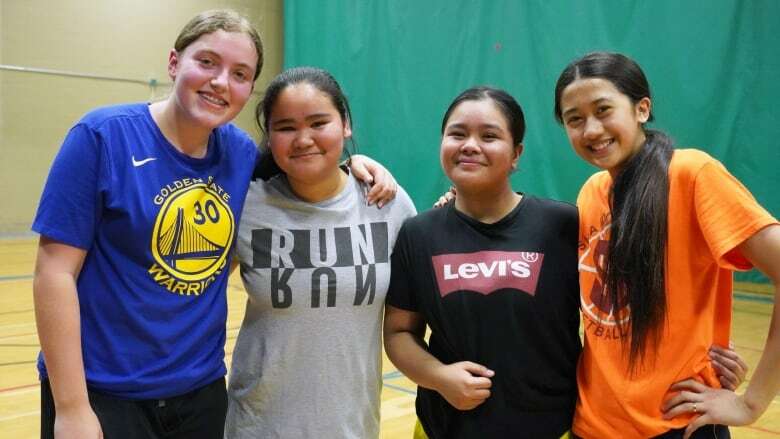 Point guard Bjeanx Barba, 15, said playing the game has taught her lessons she's been able to apply off the court as well — especially when it comes to forming connections with others. "Ever since basketball, we have a lot of fun, we made a family, and I realized there could be other people like that in normal life. So I just started opening up in school, and I started making a lot of friends." Brown played for John Abbott College while studying there. 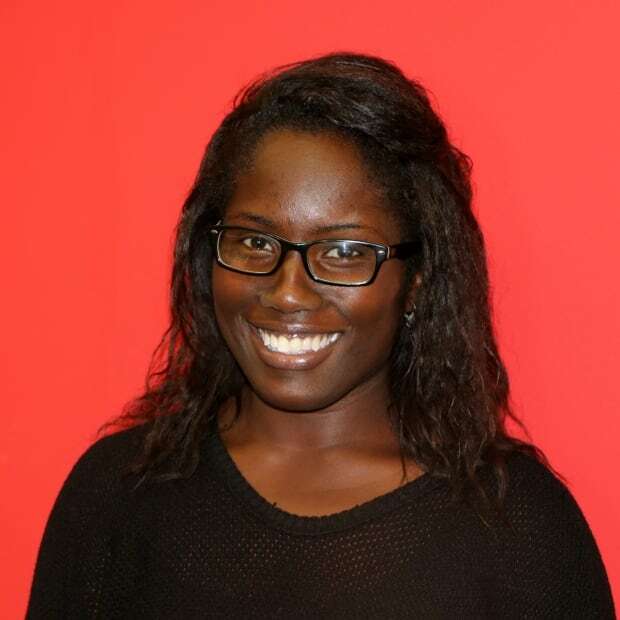 Now 26, she works as an orderly, studies at Concordia and coaches another basketball team on top of UMB. She said there are plenty of lessons she has learned playing basketball that she's now trying to impart on the girls she coaches. "It taught me how to be a leader on and off the floor, good communication with your teammates, always encouraging — a lot of girls bring each other down, and you know, you come to play basketball with a team and you get so close … you just want to see everyone succeed." The summer season is all about finessing skills and team-building at their home gym, at Marymount Academy. The girls will play in tournaments to stay sharp, including one in Maine called the New England vs. Canada challenge, where there will be around 300 teams playing. And with the program on the upswing — they will have a juvenile level team this summer as well — Brown hopes she and her fellow coaches will be able to continue making a difference. "That's what I'm trying to do: just show these girls that they can do it and we're here to support them, give them all the confidence that they need to do whatever they want." For more information, visit the UMB website or send them an email. Explore the full series here.